As we kick off 2016 and ready ourselves for another fun filled year of creativity and colour we are happy to share with you we have be nominated for the 2016 UK Blog Awards #UKBA16. This is now the second year that we have been nominated for the UK Blog Awards. 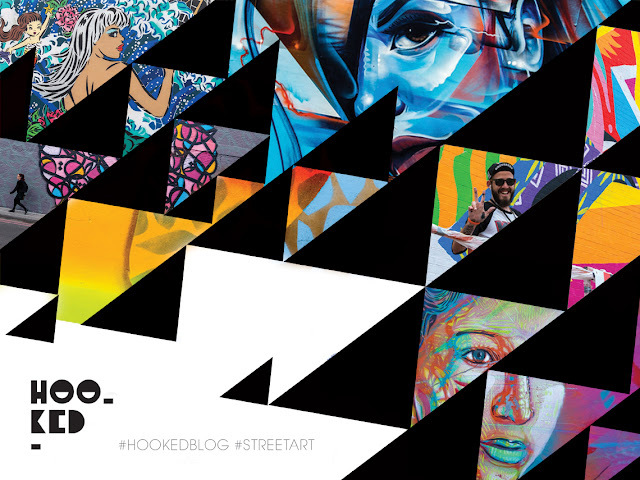 Our 2015 nomination for the Art and Culture Blog category saw the blog make it through the public vote, (thanks to all your votes) and Hookedblog was one of ten blogs in the category shortlisted for the award, after which it was in the hands of the 2015 Judges Sarah Madden and Bee Barker. Hookedblog was Highly Commended in this category alongside Natasha Nutall's design blog Graphique Fantastique. 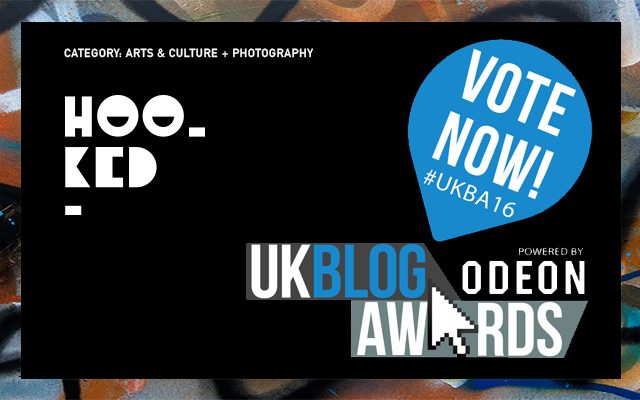 For this years awards Hookedblog has been nominated in two different categories of the 2016 UK Blog Awards: Art and Culture, and Photography. The 2016 UK Blog Awards are now open for public voting from Monday 4th January – Monday 25th January 2016 and we would very much appreciate your vote to get us though to the next stage. Once the Public Vote closes the top 10 Blogs from each category will be put forward to selected expert Industry Judges who will make the final decision. As Hookedblog has been entered into two different categories you’ll see a drop down menu with three options where you can opt to vote for both of these from the same page or alternatively you can opt to vote for only one category entry either Art & Culture or Photography by selecting your preferred category. If you are planning to vote for us obviously we would prefer if you selected the first Art & Culture and Photography option as this will count as two votes, one for each category. To cast your vote you will be asked to enter your full name and email address. Each voter will receive a confirmation email from the UK Blog Awards once your vote has been registered. You will be able to vote off any mobile device or desktop once per day. Therefore, you may vote using the same email address more than once, but on separate days. Thank you all in advance for your votes for the 2016 UK Blog Awards : Wish us luck and stay tuned as we will keep you updated on our progress. Have a Happy New Year everyone!